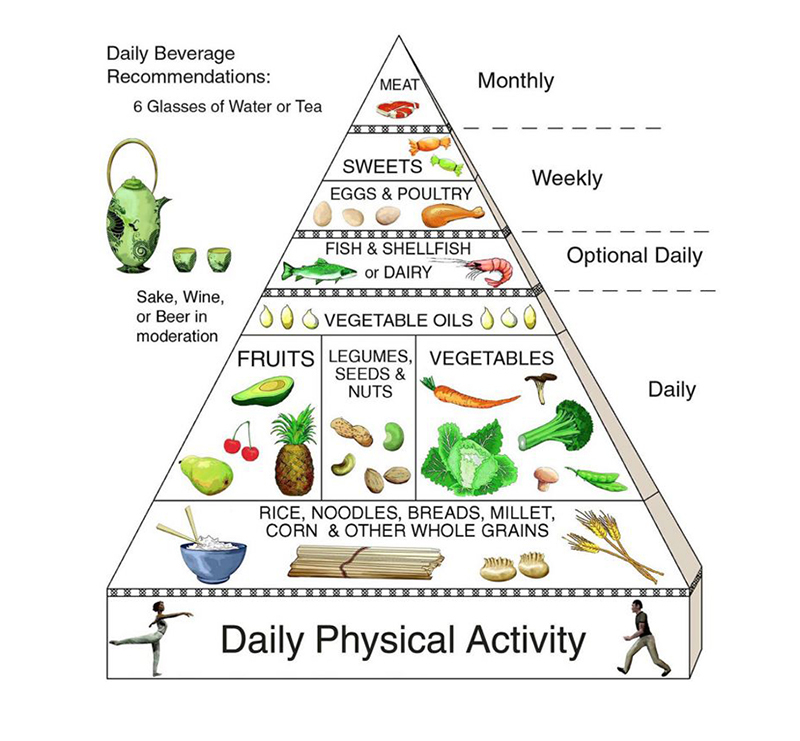 Food pyramids and food plates were developed as a tool to help you eat better and suggest healthy foods in healthy portions to form the foundation of a healthy diet. 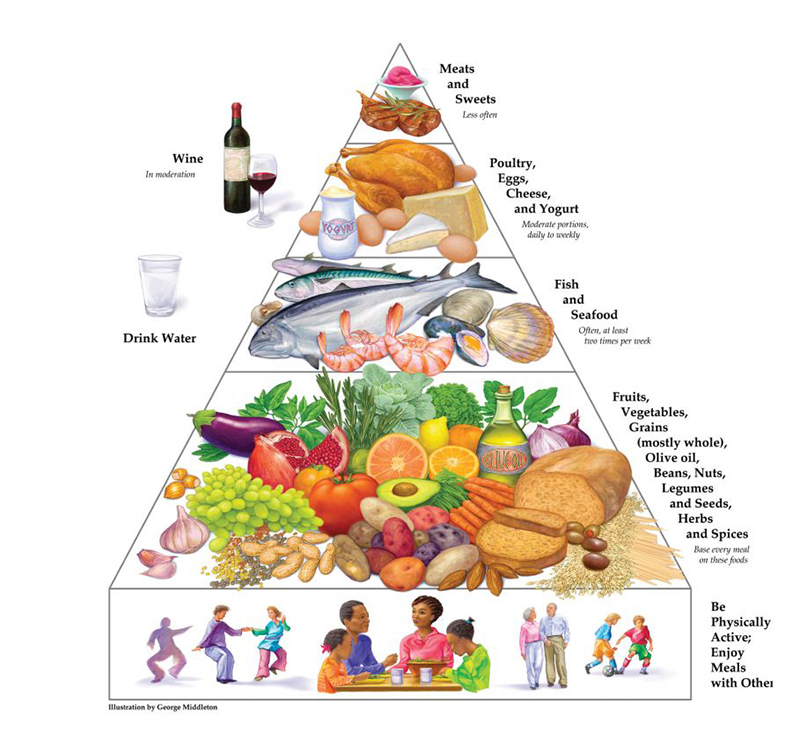 In the United States, the “Food Guide Pyramid” was originally developed by the United States Department of Agriculture (USDA) and the Department of Health and Human Services (HHS), followed by “MyPyramid,” which emerged with the release of the United States Dietary Guidelines in 2005. The USDA developed “MyPlate” with the release of the United States Dietary Guidelines in 2010. 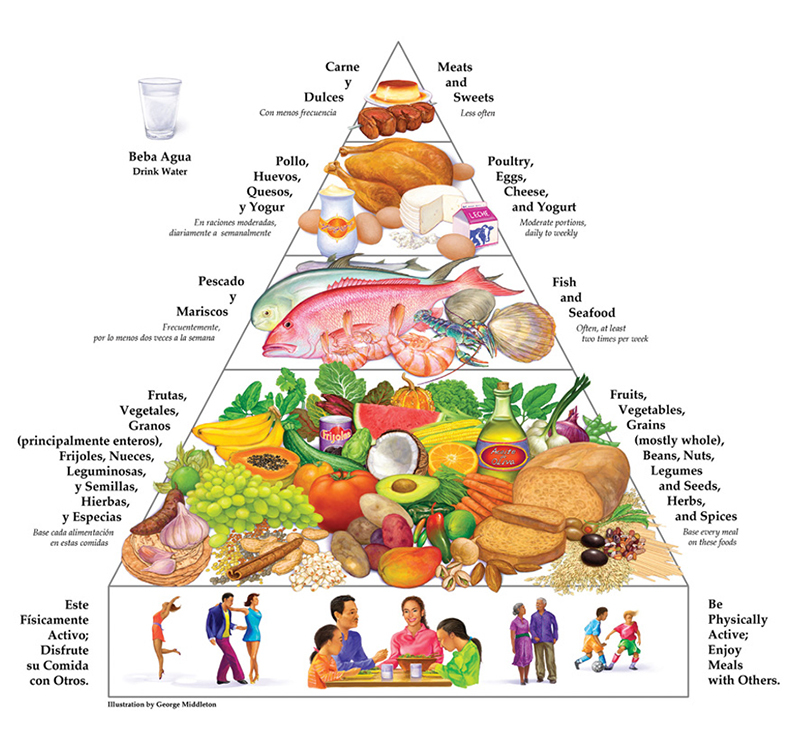 Numerous other countries also have their own versions of food pyramids. Most have similar basic principles and emphasize variety and moderation. The majority of food pyramids and plates suggest eating peanuts. In fact, peanuts are recommended daily, if not at every meal. 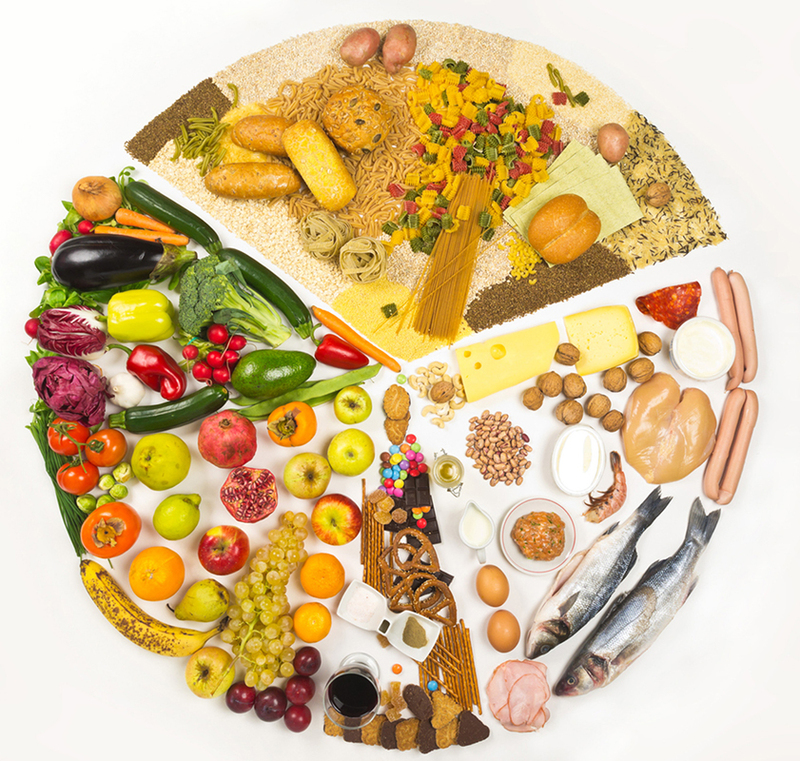 The United States Department of Agriculture (USDA) developed MyPlate in 2011 to illustrate the five food groups. It is a familiar image to help people understand what Americans should be eating in a healthy diet. Peanuts are eaten like nuts as snacks and are included in the U.S. Dietary Guidelines and related dietary guidance in the “protein group,” along with other types of nuts (USDA, 2011). Not only can eating a handful of peanuts a day reduce the risk of many chronic diseases, but an ounce of peanuts provides about one-third of the USDA daily protein requirements for most children and adults. To learn more about my plate and healthy foods in each food group, visit www.choosemyplate.gov. Researchers at Harvard University developed the Healthy Eating Plate to serve as a guide for eating a healthy meal. The program is based solely on the most up-to-date scientific evidence, which encourages a plant-based diet. Among the many differences between MyPlate and Harvard’s Healthy Eating Plate is the emphasis of healthy proteins over other protein sources. Harvard’s Healthy Eating Plate informs consumers that some high-protein foods, such as fish, poultry, beans, and nuts, are healthier than other protein sources, like red meats and processed meats. Peanuts and peanut butter, for example, offer about 7 grams of protein per serving, while also providing many nutrients of concern such as potassium, calcium, dietary fiber, folate, and iron. Harvard’s Healthy Eating Plate also recognizes the importance of consuming plant oils, as they are healthy fats. Peanut oil is a plant oil that is trans fat-free, cholesterol-free, and low in saturated fats. It is high in unsaturated fats and is a source of antioxidant vitamin E and phytosterols, which benefit heart health.  To learn more about Harvard’s Healthy Eating Plate, visit http://www.hsph.harvard.edu/nutritionsource/healthy-eating-plate/. Based on tradition, foods of the African Heritage revolve around flavor, including many herbs, spices, and homemade sauces. Meals include an abundance of fruits and vegetables, leafy greens, tubers, beans, nuts and peanuts, rice, whole grains, healthy oils, fish, eggs, poultry, and yogurt. 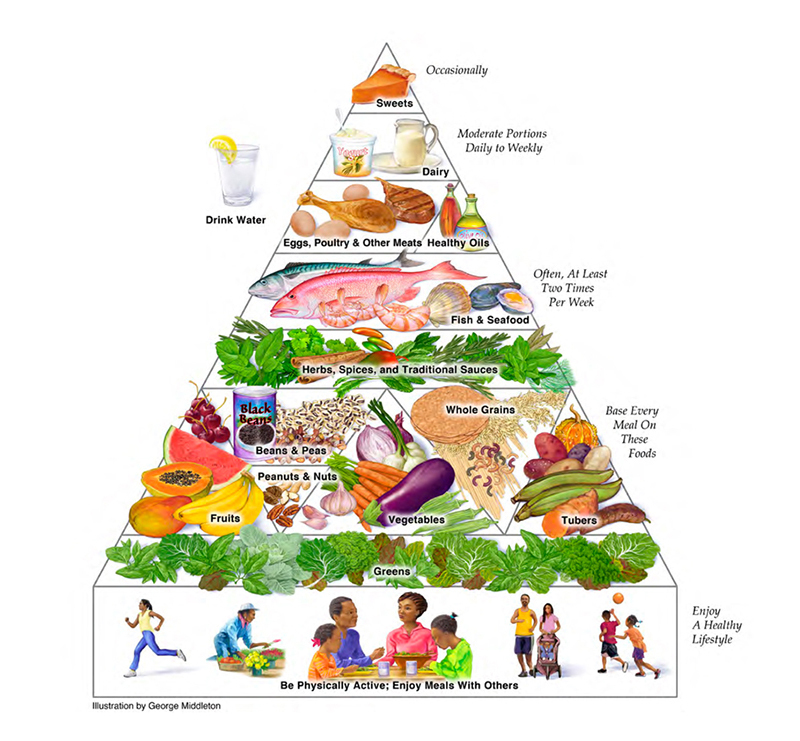 Foods included in the African Heritage Diet Pyramid are foods that scientific research shows can improve your health, by lowering your risk of heart disease, high blood pressure, and stroke; preventing or helping to treat diabetes; fighting certain cancers and many chronic diseases; reducing asthma, glaucoma, and kidney disease; achieving a healthy weight and avoiding obesity; and reducing depression. The authentic traditional Asian diet emphasizes balance and harmony in foods: hot and cold or spicy and sweet. Grains and grain products make up half of their bowl, while vegetables, fruits, and nuts (like peanuts!) make up the other half. Try adding roasted peanuts to your next Asian noodle dish or a peanut-sauce marinade. Beans, grains, and nuts are the backbone of the Latin American diet. 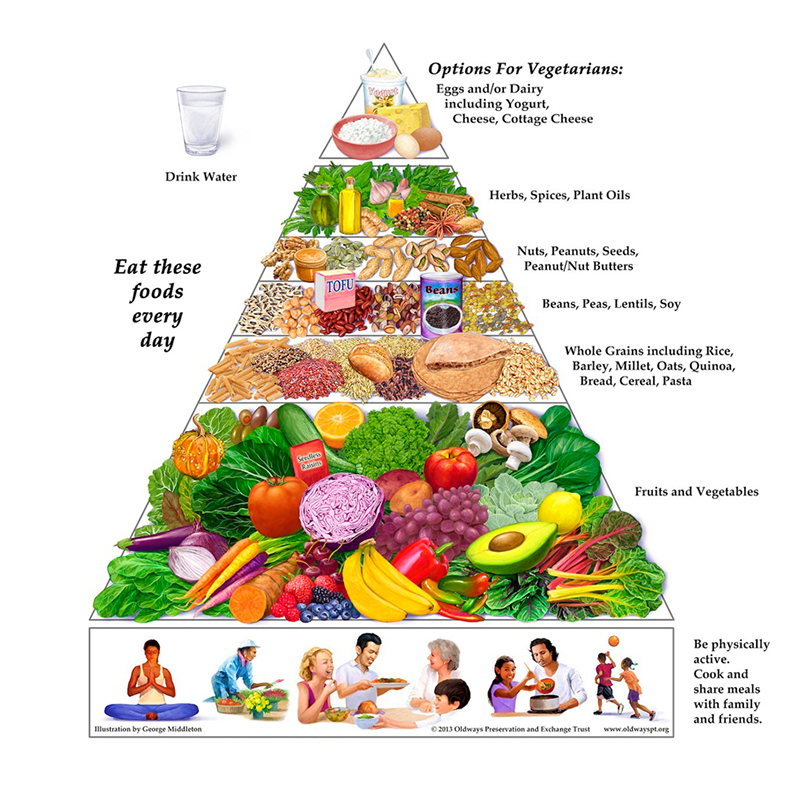 It emphasizes a plant-based diet with a focus on whole grains, fruits, legumes, seeds, nuts, and vegetables. Try adding some spices with your mixed nuts or peanuts for a little kick and fuego! The Mediterranean diet has been proven to prevent heart disease and help people live a healthy life. This is because it emphasizes whole grains, fruits, vegetables, and healthier fats (in moderation). These healthy fats can be found in high levels in seeds and nuts–like peanuts! Traditional recipes include Dukkah, a mixture of seeds, nuts, and herbs and can be found at http://www.oldwayspt.org/recipes. Vegetarian and vegan diets are plant-based and consist of mainly vegetables, fruits, whole grains, legumes, nuts, and seeds, including peanuts, peanut butter, and peanut oil. Without meat and animal products, vegetarians and vegans are in high need of protein. Peanuts contain more protein than any other nut and a 1-ounce serving contains about 8 grams of protein, which is more than most servings of beans. In addition, peanuts and peanut butter are low in cholesterol and saturated fat and contain many beneficial nutrients like fiber, vitamins, minerals, and bioactives shown to help reduce the risk of many diseases. Research shows that plant-based diets are associated with lower BMIs, increased nutrient intake, and a reduced risk of cardiovascular disease, cancer, and diabetes. A recent study shows that vegetarian diets are associated with lower death rates. In addition, vegetarians who consumed nuts and peanuts had a lower risk of heart disease than vegetarians who avoided nuts.